Project complete! The founder of BIK confirmed on April 9th, 2012 that all Do Good Lab funds had been successfully received. They are in the process of obtaining their very own garbage truck! Thanks to the Do Good Lab community and participating donors! The money will be used to purchase a garbage truck so that BIK can stop renting a truck. What will be the impact when this project is completed? Once the garbage truck is purchased, BIK will be able to stop renting a truck and will be able to use those funds for other purposes – such as renting a warehouse to sort the garbage. What is the background of the organization? BIK was founded when a group of friends realized how the culture of throwing trash into the street was affecting the health and safety of their community. They began the process of petitioning the government to allow them to collect trash, as well as the process of convincing their community that it was beneficial for them to put their trash into bags instead of in the street. The organization has grown and is currently serving about 1,800 homes. When we walk the streets of San Francisco, we may find the streets dirty if there is a little trash on the ground that hasn’t been picked up. Or perhaps a trashcan is overflowing onto the sidewalk. Now imagine that there is even more trash building up over days and weeks and no one is coming to sweep the streets or empty the trashcans. For years that has been the reality for the families in Naivasha. Children with nowhere else to play were playing in the garbage and getting sick. There were outbreaks of Malaria and Cholera due to the garbage and stagnant water. So a group of friends decided to do something about it and they founded Beautification Initiative Kenya (BIK). The plan for BIK was pretty simple: instead of throwing their garbage in the street, people can put it in a bag that is provided, and BIK will come and get it every week. After receiving government authority to begin this project, the founders of BIK went door to door to talk to community members and educate them on the importance of setting a sanitation system into place. They needed to convince them that if they work together, they will have healthier children and that by collaborating with BIK as members, they would have a greater sense of ownership (and therefore greater participation). 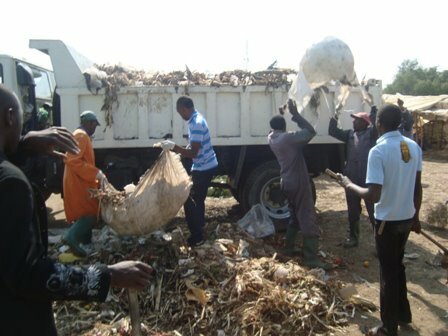 Today they collect garbage for about 1,800 homes. Once a week, BIK picks up garbage for the community’s BIK members after they’ve separated recyclables and compost. BIK then separates metals and plastics from garbage and they take them to Nairobi in a truck, where they are then grated and sold. Currently, BIK is renting a truck for every individual pick up. The truck is small, and the rental fees are high. Do Good Lab is raising money for BIK so they can purchase their own garbage truck and avoid the rental fees. With the money they will save from the rental fees, they would like to buy their own warehouse. This will allow BIK to avoid transporting the metals and plastics to Nairobi and therefore they can keep the grating business local. They will also be able to start a recycling program, hiring more employees, and helping the Naivasha community in yet another way. 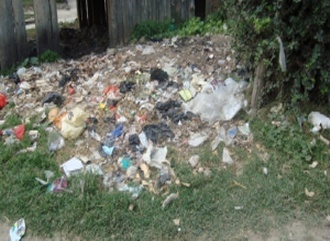 Posted by Aezed Raza on Tuesday, November 8th, 2011 at 11:16 pm and tagged Beautification Initiative Kenya, Kenya, Naivasha, Recycling.